Does Microsoft really want to buy Logitech? Chairman says move would be "without sense"
Speculation has been rife over the weekend that Microsoft is to bid for peripheral manufacturer Logitech. If the rumour is true, then it’ll be a busy few weeks for Microsoft’s lawyers, who already have their hands full with the ongoing attempted snaffle of Yahoo. The hardware manufacturer makes rival webcams, keyboards and mice to Microsoft, but the software giant will just as likely be interested in the company’s digital media offering – remotes and audio streaming devices. 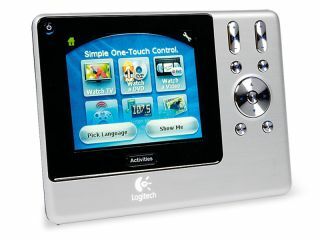 Of course, any takeover of Logitech by Microsoft would inevitably arouse some interest among competition authorities. After all, can you name many more firms who make keyboards in any number? Logitech leads the market, while Microsoft also has a 30 per cent global market share. Speaking in an Italian newspaper interview and reported by Reuters, Logitech chairman Guerrino De Luca said the move would be "an operation without sense". The company’s largest shareholder Daniel Borel went further, saying he had no reason to sell his stake despite the rumoured offer being worth some $8 billion (£4 billion) and the share price rising as a result. “Without competition Logitech would lose the great pressure to innovate,” added De Luca. Interestingly, he also added that Logitech already has a Microsoft connection of sorts. A “small stake” in the company is owned by the Melinda and Bill Gates Foundation – that’s the charitable organisation generous Bill uses for his philanthropy. Logitech remains one of Microsoft’s most active partners in terms of Windows Media Center complimentary peripherals. It also manufactures a significant amount of gaming peripherals for both consoles and the PC and invests significantly in its own research and development. Logitech’s sales rose by 25 per cent in the last quarter, De Luca said in the interview with Corriere della Sera.